On the morning of March 6th at 8:04 PT, the new moon arrives centered in the sign of magical Pisces. The sacred fish is both fluid and free as it moves about the dark sky above. This particular new moon is perhaps the most otherworldly I have yet observed, as it is conjunct the dreamy Neptune in its home of the 12th sign. We are beckoned to the extremes of Pisces at this juncture as we plant the seeds for the next moon cycle. Pisces is the sign of the mystic and the enchanter. Because it is the last sign of the zodiac, there is a supernatural element to this energy. Pisces is mutable and a water sign, thus the boundaries are unclear or perceived limitless. We may feel a stronger connection to spirit, as well as a heart felt empathy for those in need. The day before the new moon, mercury stationed retrograde in Pisces. For the next few weeks, we are cloaked in an extra layer of this Pisces aura. We will experience some of the annoyances of any Mercury retrograde cycle assuredly, including miscommunications, travel mishaps and technology glitches. This particular retrograde cycle is playing an important role, however, in setting us up for how events will unfold in the next six months and beyond. Mercury retrograde, combined with this new moon in Pisces, is offering us a different perspective on our lives. An inner shift of consciousness is allowed to unfold. You may find that the dreams and visions that you have for your life take a different direction at this time. You may find that your actual dreams are intensely vivid in fact! My advice is to let yourself reflect and dream. Be open to new inspiration and allow yourself to discover a new way of viewing the world around you. Because this is Pisces retrograde season, I would also advise not to commit to one particular path until after Mercury stations direct on March 28th. Finding clarity will take time. During the next couple weeks our emotions may be running higher than usual as well. Give yourself time and space for inner contemplation and to be able to process these heightened feelings. If this feels like a difficult time, know that you are not alone. Sharing your thoughts and feeling with someone you trust will be extra helpful during this period. The day after this new moon, Uranus makes its final arrival into the sign of earthy Taurus. Though we may be 'slowing down' during this Pisces season, there is simultaneously much constructive momentum pulling us forward. For the past 7 or so years, Uranus has been liberating us in the Aries sector of our lives. We have been strengthened where we feel most independent and inspired in our lives. With Uranus moving into Taurus, we are now being'shaken up' where we are most solidified in our lives. Taurus, being a fixed earth sign, does not always willingly want to be freed from its chains! It will be interesting to see how we all experience this Uranian shift collectively and individually. The Pisces season, although it may be confusing at times, is setting us up for success for this grand movement of Uranus into the sign of Taurus. Journeying through waters of Pisces will give us the shift of consciousness we need in order to move forward in the next season with more inner confidence and success. May you find strength and wisdom on your journey. Pisces season starts with a bang with the assistance of the powerful earth goddess: a super full moon in the sign of Virgo. Upon the sun entering the sign of Pisces on February 19th, we have the full moon in Virgo at zero degrees at 7:54AM PT. Virgo is the sign of the dutiful perfectionist and the sacred servant.She inspires within all of us to find sacred purpose in our work, our mission and our calling. The recent Aquarius new moon brought some exciting opportunities or ideas, and now we can begin to see the results in the earthly realm. This full moon is especially wonderful because it will be closest to the earth and will be conjunct the magnificent fixed star Regulus. Regulus, living at zero degrees Virgo, indicates valiant courage and supreme success. Because it is the moon joining this star, women will be feeling especially successful, ambitious and independent. Wherever zero degrees Virgo occurs in your own personal chart will indicate where honor, wealth and feminine wisdom exists for you. To use this full moon to the best of its capacity, however, our intentions must be pure. With Virgo, success only comes when our desires are of a high vibration and are for the good of all. Mars and Uranus make a trine to this full moon, ushering in even more bravado. These two planets may be motivating us or inspiring us to go further than we thought possible. At this time there may be unexpected breakthroughs and moments of genius. Harness this upbeat energy to further communicate an important message or to finally complete a large project. Enjoy this glorious full moon energy while it lasts, as the tone will be changing a bit in the coming weeks. As we move into March, our momentum may be slowed by Mercury stationing retrograde in the sign of the fish. Mercury will station on March 5th, and will be in Pisces for a total of two months. For some, this may mean plenty of confusion in communication or travel plans. All in all, however, I'm excited for the opportunity to go deeper with this Piscean energy. This is the perfect time to deepen a spiritual practice and get in touch with our intimate selves. Perhaps we may reach a new height in spiritual understanding, deepen our meditation practice or begin a new area of study in the realm of the occult. This time may also be packed with dreamy creativity, but we must harness our strength in our dedication to bring our Neptunian visions into reality. In Pisces, our options are limitless and our dreams are boundless. Tarot artwork by Starchild Tarot. Available for purchase on our website. On Saturday, the moon joins the sun exactly centered in earthy Capricorn at 5:28PM PT. This first new moon of the year is a partial eclipse, giving it some extra intensity. We are ushered into a brand new series of eclipses taking place in Capricorn and Cancer, which will take place throughout the year. What we put forth at this Capricorn new moon will bear fruit in many ways throughout the entire year. Where Capricorn and Cancer occur in your natal chart, will tell you much about how these eclipses will affect you personally..
Sandwiched between such serious players as Saturn and Pluto in Capricorn, the new moon is summoning us to come up with a plan for 2019. What do you wish to accomplish this year? 2019 is looking to be a mighty eventful year, and the more you can feel grounded in your own 'vision', the better off you will be. The year 2019 is a collective numerology year '3', and this is an auspicious number for manifestation and creativity. It's no wonder that when I pulled a tarot card to represent the New Moon, I pulled the 3rd Major Arcana card.. theEmpress herself! The Empress represents the power of the divine feminine and our ability to create an abundant life. She is the divine mother of the Tarot, and she has special powers for creating and nurturing new life. The north node in Cancer, the sign of 'the Mother', further shifts our collective focus towards this divine feminine. It seems no coincidence that 100 years ago, a woman's right to vote was passed in the United States congress. And on this very day, we have a record number of women sworn into U.S. congress. It looks as though women will be having a major impact on world change this year and for years to come. The South Node, Pluto and Saturn will all be in Capricorn all year long. There is much to process here.. and to release. On a collective level, Capricorn represents the long established patriarchal systems and governments in our society. As old and broken structures are let go, we should expect to see much shifting and changing in these areas around the globe. The North node, in loving and compassionate Cancer, is our beacon as we move through these changes. Now is the time to recognize the power of feminine wisdom. Before we proceed, however, we must return to this Saturday's new moon in Capricorn. We receive a beautiful sextile to Neptune, which expands our awareness and imagination. Jupiter squares Neptune, even greater expanding the scope of this influence. As we make plans for 2019, we are called to dream BIG. These are the types of dreams that we know we are not likely to accomplish this year, but they allow us to think with extra creativity. It gives us the extra push we need to get out of our comfort zone. As we expand our imaginations, we may discover a new talent or attract an exciting new project. One way to tap into this Neptune magic is to have a regular spiritual or meditation practice. Also, spending quality time with dear loved ones and friends can expand our thinking. Find ways to get our of your 'head' and connect with your heart. In summary, January will tell us a lot about our year to come. Our spirituality and intimate relationships are a big part of this story, as well as the 'work' we are called to do in this life. As we embrace the year of the Empress, I wish you all immense growth, abundance, creativity and love. Happy new moon! New Moon in Sagittarius: Dare to dream big. Tomorrow, the moon joins the sun at 11:20pm PT in the exact center of fiery Sagittarius. What I find most interesting about this new lunar phase is we are learning about how Jupiter in Sagittarius will be influencing our lives over the coming year. As I stated in the previous newsletter, Jupiter entered its home sign of the mighty 'archer' last month. Jupiter in Sagittarius is an exciting transit for working with manifestation, as Jupiter will be more optimal for granting us gifts and blessings this year. Sagittarius is a mutable fire sign. 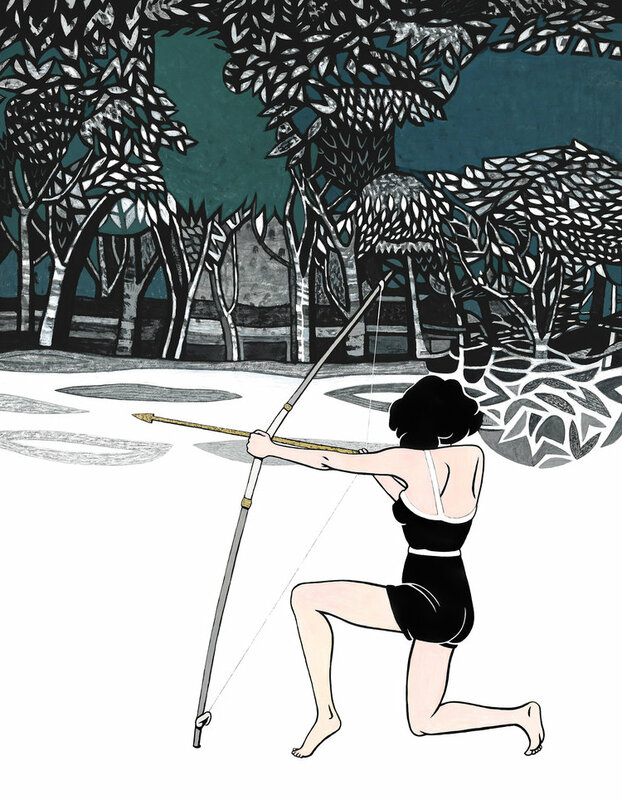 The mighty archer gives us a feeling of inspiration and will power to go after our dreams. We discover what it is that we desire and we take aim. We may not always hit the mark, so we adjust and take aim again. This mutable energy lends itself towards having a 'flexible' attitude. We may need to adapt to our ever changing conditions and surroundings as we travel over the next few months. Mercury has been retrograde for the past few weeks. On the very same day as the new moon, Mercury stations direct at 27 degrees Scorpio. Whew! This is probably a welcome shift for many. If you have been frustrated by travel delays, technical glitches or communication mishaps, you should soon be feeling some relief. The actual day of the new moon may be tricky as Mercury stations, but we will experience smoother sailing in the next few days. Since the beginning of the month, Mars has been squaring the sun. I sense that many people have been pushing themselves hard this past week in order to complete a task, deadline or goal of some kind. With this extra 'push', we may be feeling extra irritated. There is a tension building as we approach the new moon. We are probably feeling extra motivated (or pressured by others) to keep up this strenuous pace, but this does not look to be a sustainable method. On the day of the new moon, Mars conjuncts Neptune in Pisces. The watery and calming nature of Neptune dissolves the fiery flames of Mars. The tension that has been building is released somehow. At this time we may be feeling more low energy or perhaps even become sick. On a more upbeat note, we may be shown the larger perspective about a situation and feel more empathy. The day of the new moon would be an excellent time to take a break. Allow yourself to slow down enough to catch your breath. Many of us battle regular anxiety. Something about this new lunar phase is highlighting how we deal or cope with our anxiety. I'm sensing that whatever anxious feelings come up at this time are acting as an opportunity for discovering our actual selves. This can be a moment for real spiritual growth. Neptune in Pisces activates us towards returning to self care practices or learning new calming techniques. If you have a meditation practice or are interested in meditation, this would be an excellent day to deepen your connection with this practice. Take a moment to breath and reconnect with the self. Despite whatever challenges we currently face, Jupiter is connected with this new moon and offering some of its potent magic. What we put forward now will produce impactful and joyous results six months from now at the time of the full moon in Sagittarius. But these gifts won't simply be given to us, we must put in the work. At this time and through the rest of December, we are called to reflect on what we hope to manifest in 2019. What projects am I finishing up in 2018? What goals did I reach in 2018? What is no longer a goal or important to me? What am I still working towards? What will make me feel more prosperous or abundant? What do I want more of in 2019? What is something brand new I'd like to manifest in 2019? Is there one word that reflects my intention for the new year? As we approach the winter solstice, we are wrapping up a lot at the end of 2018. This is the darkest part of the year, and much like the energy of a new moon.We are called to go within and dream. This is often one of the busiest times of year, so schedule some down time if you can. Our intuition works best when we give ourselves a little bit of peace and quiet. Blessings to you on this new moon and the new year! New Moon in Virgo: an Earth portal awakens.. This Sunday, the sun and the moon join once again, in the sign of the Earth Goddess. The new moon in Virgo occurs precisely at 11:01AM (PT), and there is much to say about the beginning of this new lunar cycle. Virgo shows us the importance of connecting with the earthly realm: our bodies, the mother earth and our physical spaces. This goddess teaches us the vitality of organizing our lives, living healthy and clean, not shying away from our responsibilities, and being of service to ourselves and others. On this new moon, may we perform great healing in the earthly realm of our lives. The new moon trines Pluto, motivating us to transform our lives in powerful ways. We may be able to better recognize our negative habits and release them with passion and conviction. If you are thinking about starting a healthier diet, a new exercise routine, quitting smoking, or beginning a healthier lifestyle of any kind -- this is an excellent time. You will find more willpower than usual to bring about positive changes. Neptune is in direct opposition to the new moon, which gives us a clue as to how we should best harness the magic of this time. In order to access our intuition and powers of manifestation, we should make time for quiet reflection or meditation type practices. There is a need to quiet the mind to truly receive the inspiration and needed clarity in how to move forward with this Virgo energy. With the moon sextiling Jupiter as well, there is a great opportunity for creativity and exciting new opportunities to expand our horizons. A grand earth trine appears at the time of the new moon as well. This grand trine acts as a magical portal, allowing us to manifest our dreams into physical reality. Mercury in Virgo gives us the ability to pay attention to necessary details. Saturn in Capricorn gives us the discipline to do the work and be patient with the outcomes. Then finally, Uranus in Taurus is allowing us to break free from our old and tired routines with brand new opportunities. With this mighty trio, we are able to make great and lasting changes in our lives. We feel ready for new and exciting challenges. There may be opportunities for us to take risks at this time, in order to achieve long term rewards. We could be looking at opportunities for investments, changing jobs, remodeling a home, growing our family, or looking to start a new business. Now is the time to look at what structures we have outgrown, and where can we re-direct those energies. How can we build a new foundation that is more fitting of who we have become? On the very day of the New Moon, Venus enters the water sign of Scorpio. We may find that our passions are heightened, and we desire our relationships to go deeper. There is a sensual nature to Scorpio, where we can't help but 'feel' the intensity of our longings. Venus is joining Jupiter, making the next month or so an extra fertile time for love and creativity. If you have been feeling hyper critical of yourself in the past couple weeks, you are not alone. There has been a mounting pressure of 'internal doubt' making us perhaps ask why we have not achieved certain goals yet or accomplished a certain level of status. As Saturn moves forward in Capricorn, we should feel more productive -- despite what challenges surface along our path. May this new moon re-inspire us to to connect with our goals in a more productive way and to live our lives with purpose and in good health. Take a moment to tap into this grand earth magic and manifest some dreams. Pisces Full Moon: Letting faith be our guide. Early Sunday morning, at 4:46AM (PT), the moon will reach her peak fullness in the sign of the wise fish. This watery full moon is an especially welcome energy right now, as we have had a rather difficult August. Several planets have been retrograde this summer, including Mars, causing many challenges and fiery circumstances. If you have been suffering from insecurities and frustrations more than usual, you are not alone. When Mars is retrograde, the dark side of Mars energy gets amplified. We may be feeling more of the 'heat' and extra challenges when interacting with others. Retrograde periods teach us we can no longer live our lives per usual. Alterations must be made and mind sets shifted. Through our difficulties, however, we learn a more meaningful path to a greater joy. The full moon occurs at 3 degrees Pisces, exactly conjunct the noble fixed star 'Fomalhaut'. This magical fixed star lives in the eye of the fish itself, and foretells a story of magic and spirituality. At this time we can access a stronger source of faith, through the extra sensitive lens of Pisces. We may be feeling more optimistic than usual, or perhaps we are able to find extra strength in our spirituality. Fomalhaut reminds me of the tarot card the Knight of Cups. He is a dreamer with lofty ideas. 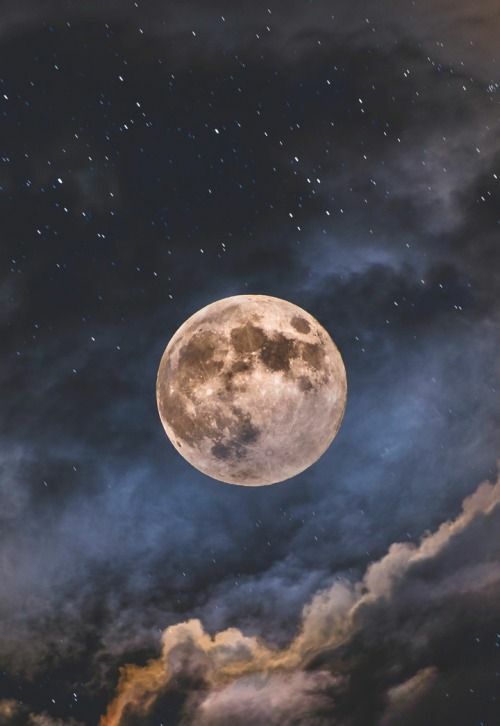 He can be a bit spaced out at times and disconnected from reality, but sometimes a full moon needs to take us to greater heights. Imaginary heights or real ones. We can breath a little easier, as this is the first moon in some time that is not eclipsed. In fact, this moon has no negative aspects whatsoever. The moon sextiles both Saturn and Uranus within a grand earth trine. This is both a grounding and innovative energy. We can think creatively and expect long term positive results. There is a renewed faith that all things will work out. May we take this energy into next week, as Mars turns direct on the 27th. We may still have some bumps in the road, but we can see the path clearing ahead. This would be an excellent time to access your creativity, especially in music and writing. I would also suggest taking an epsom salt bath or visiting the ocean or other body of water if you are able. Pisces teaches us to trust our creative process, our intuition and to simply let go. This is not a time for ego or monetary rewards; we can set our intentions on a higher vibration. Be like water and flow towards where your heart takes you. This weekend, do something to feed your soul. The following horoscopes are based on the wisdom of this Pisces full moon. First read your ascendant sign, and follow with your sun and/or moon sign. ARIES: Find space and time for relaxation and solitude on this full moon. Treat yourself with the utmost kindness, and give yourself a special gift. You are learning what you need in order to stay inspired and keep from feeling depleted. Great inner wisdom is accessed through meditation and dream-work. TAURUS: You are finding confidence and clarity within the role within your community or friendships. Long term hopes and dreams may feel more accessible now, as you move forward with more defined goals. Have faith in your leadership and decision making. GEMINI: You may find great support in your professional relationships. There could be a partnership giving you renewed faith in your career path. You are learning to align yourself with other like minded souls who want to see you succeed. Look for ways to be creative with others and for collaborative opportunities. CANCER: You may be experiencing a renewed vigor in your higher purpose. Remain focused on those lofty dreams, but meanwhile grounded in your present reality. You are learning how to remain inspired, through the ups and the downs. Keep learning and honing your craft, as you prepare for your next big adventure. LEO: How you invest, share, or simply view your finances may be adjusting at this time. There could be a new source for additional wealth through a creative endeavor. You are learning to have a fresh new perspective on how you use your money. Missed opportunities or past mistakes will lead to new and better options. VIRGO: Your close relationships or partnerships may be improving. Rather than avoiding conflicts, you are learning how to have more open and honest communication. You are feeling a need to create more balance and equality in your relationships. Approach others with kindness and ask for what you need from them. LIBRA: You are learning ways to heighten your joy in daily ritual. Perhaps you are trying a new schedule or incorporating a new routine into your day. Look for ways to get more out of your morning or evening time. Your health and happiness will repay you. SCORPIO: You may have been experiencing some conflict within your romantic relationships or within your creative expression this past month. The full moon is showing your ability to release the tension you have been feeling. This stress has been limiting your creative potential, and the connection you truly wish to have with others. Moving forward you can unlock your passions to new heights, as you are especially 'fertile' over the next couple months. SAGITTARIUS: The full moon is bringing your attention to your home and family. Over the past couple weeks, you may have felt some tension within your household. Perhaps you are undergoing a stressful home remodel or perhaps you have felt unhappy with the actions of a family member. You are learning how to release this stressful dynamic somehow and create sacred sanctuary within your household again. Look for ways to create peace, harmony and beauty in your home environment. CAPRICORN: As the moon approaches fullness, you may be drawn to creative writing or using your voice in a unique way. Let the mystery of the moon inspire you to express yourself creatively. Your intuition will be your guide as you access deeper ways to communicate your feelings. Learn to trust your curiosity at this time. AQUARIUS: There have been some hard lessons recently in your sense of self worth and your feelings of abundance. As with anything in life, you are experiencing the ups and downs in this area. You are learning to love yourself, no matter the circumstances. Any set backs you are experiencing now are temporary or simply not properly aligned with your authentic self. Let the Pisces full moon renew your faith in yourself -- that you are valuable and prosperous now and always. PISCES: Dear Pisces, this moon speaks to you most personally of all. You may be experiencing a radical shift in how you see yourself, and how you wish to present yourself to the world. You are learning how to let go of what no longer aligns with your identity. Perhaps you feel inspired to 'reinvent' yourself somehow in order to live a more authentic life. Let the magic of this Pisces moon speak to you at your deepest core. Tomorrow, at 12:43pm, we welcome the Gemini New Moon. This relatively quiet moon, in the sign of the twins, has a story to tell us. Gemini is ever curious and yearning to learn more, do more and be entertained along the way. When this mercurial energy is overly stifled or contained, we feel anxious and bored with life. The flame within us begins to lose it's vibrancy, or it engulfs us in its yearning. The sign of Gemini is known for having its two extreme sides. There is duality here, like two sides of a coin or Yin Yang. Highly mercurial in nature, Gemini energy quickly goes from over-thinking and heavy moodiness to bright, cheerful and life of the party! This New Moon may have each of us examiningwhere we feel these mood swings in our life, and perhaps where we are looking to shed our 'shadow' selves in order brighten our inner flame. Gemini's ruler is Mercury, which recently entered the sign of Cancer. The'storyteller' is perhaps my favorite archetype for the sign of Gemini. Through the lens of Cancer, the story we are now telling is one of nurturing, kindness and healing. We can each communicate with a little more clarity and ask for support where it is needed. Whatever is making us feel anxious now can be used to fuel this new lunar cycle in an inspiring and uplifting way. It much depends on the story we are telling ourselves and others along the way. As we embrace our 'brighter' and 'lighter' selves, we open ourselves up to being curious and our creativity flows. Let this Gemini moon be a catalyst to inspire you to learn something new or tell your personal story in a new way. Here are some short intuitive/horoscope readings for the New Moon in Gemini. For most accurate readings, start by reading your ascendant sign, then you can follow with your Sun and Moon for further information. If you are unsure of your ascendant sign, you can contact me for assistance. You may be feeling extra sensitive at this time, and confused on what path to take. It is important that you allow these feeling to be processed. Writing and journaling would be an excellent activity over the next few days. Don't hesitate to reach out to your loved ones to talk about any heavy emotions that may be coming up for you. Your work may be feeling less fulfilling these days, or perhaps you don't feel recognized for efforts. It may be time for a change! What could give you more of a sense of purpose? You may be setting your sights on learning some new skills. Big things are on the horizon for you dear Gemini. What you are starting now will have a big effect on the upcoming year. The first changes start from within. You may need to adjust your outlook on the future somehow. What is burning within you? Your powers of intuition are strong with this new moon. Pay attention to all the psychic downloads you are receiving. This information should be offering you much clarity on a particular situation. Give yourself plenty of alone time, as you seem to be yearning for that especially right now. Follow your bliss. You are standing strong like the lion you are. Whatever challenges are coming up for you now, you have what it takes to endure with grace. You may be reassessing some longer term goals at this time. Reconnect with your long term goals and focus on the bigger picture. Have patience and know that good things come with time. You may be starting a new job or making a career shift. You will feel acknowledged for your talents somehow. Look at ways you can bring a little more fun into your career and focus on your creative strengths. This is a very interesting New Moon for you, as your belief systems are changing. Through your own personal spiritual evolution, you are able to see the world differently than previously. You may be questioning the status quo, old ways of living, or those in authority. There may be disturbances within your family or joint resources that require your attention. You are being asked to reconnect with family and to lead the way to a more prosperous future. You can use your excellent intuition about finances in order to invest wisely. This is a time for renewal and regeneration for you and your loved ones. You may be releasing a toxic relationship or partnership from your life at this time. You will feel the weight lift and feel a renewed sense of harmony in your life. Embrace those relationships in your life that lift you up. There is a greater focus on your daily routines at this time, including your health and your work. Your goals appear very results oriented and strict in nature. Be careful of becoming overly self critical or rigid in your pursuits. Allow yourself to make mistakes and see the humor in life. No one is perfect. Make some room for spontaneous indulgence or fun, and this will keep your spirits high. Hold tight dear Aquarius. There may be some delays on creative projects or fun pursuits at this time. Know that what you are envisioning now, will come to be with time. Take advantage of whatever down time is available now. Hold onto your inner vision but allow yourself to relax. Next month is going to be full speed ahead! You are experiencing a new found stability at home and with family. Summer looks to be a time of joy for you and your family. If you have been thinking of upgrading your home with a major remodel or a new house, this is an excellent time to start. Take the lead and pursuit the vision for your ideal home.